January and February seem to be the coldest months in the New River Valley, and for many people this means it is time to hunker down until the warmth returns. But experts say the change in temperature is no excuse to put on winter weight. Triathlon runner Sam Forsyth claims the cold weather improves his race performance. For many runners the first sign of frost means it is time to start running inside. But Forsyth says he will do all he can to avoid running on the treadmill. Not only does it hurt his knees, but he says it takes away from the experience. The graphic above gives runners a guide on what to wear based off the temperature outside. But running in the cold is not the same as running in warmer temperatures. Runners have to dress properly to avoid frostbite, hypothermia and joint injuries. Athletes also should not anticipate the same run times as they have had during the fall season. “Expect to go slow the first mile or so,” said Forsyth. How athletes dress could significantly improve or worsen their running experience. A decent pair of wind resistant gloves improves comfort tremendously. Forsyth says dry-fit gloves are not necessary because if his hands get sweaty, he will want to take them off anyways. As for feet, it is important to have a warm pair of socks that can wick away sweat. Running shoes should have decent traction to prevent falling on slippery ice. 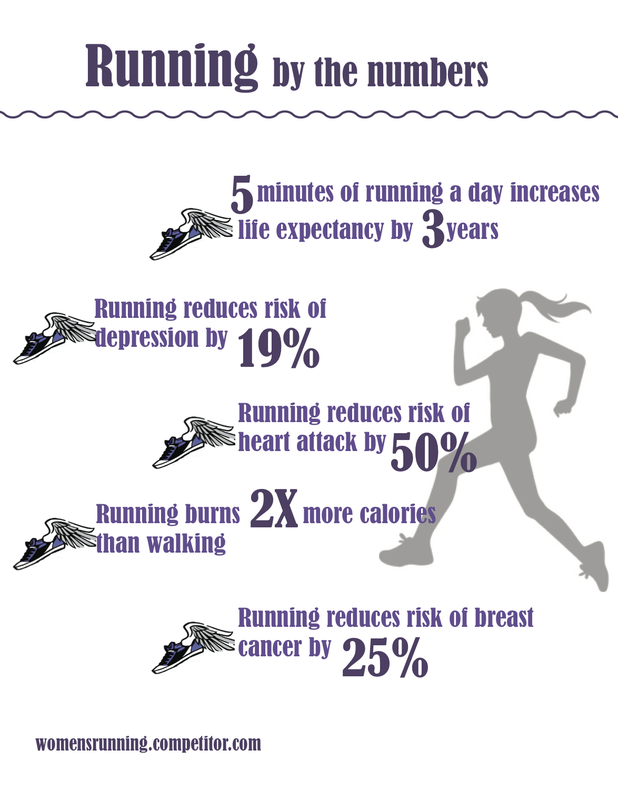 The graphic above shows the benefits of running. Forsyth says layers are the best way to stay comfortable throughout the whole workout. It gives runners the ability to manage their temperature while warming up during the run. 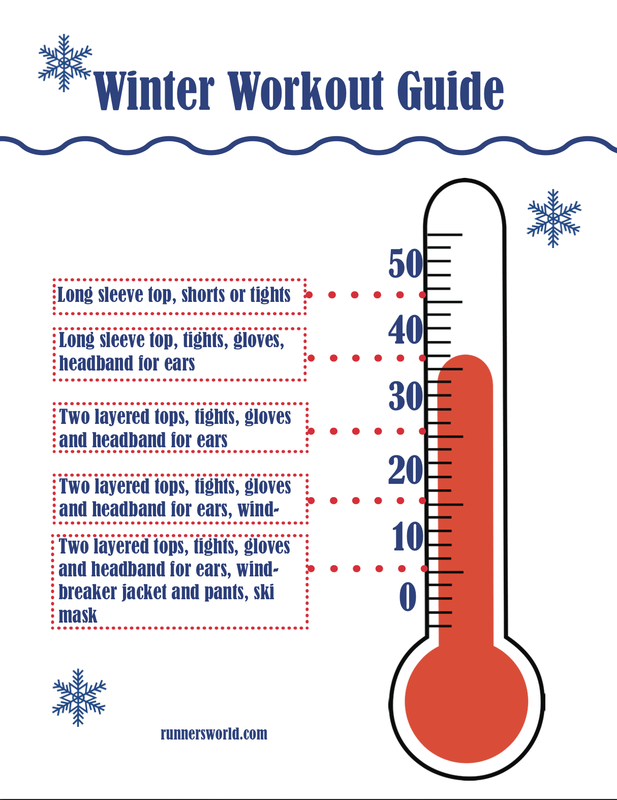 According to runnersworld.com, you should dress as though it is 10 to 20 degrees warmer outside. Wearing too much clothing can cause overheating and discomfort. But it is not just about how you dress. Experts say those who run in the winter are at a greater risk for dehydration. According to running.competitor.com, runners do not sweat as much and feel less thirsty when they are cold. This leads to a decrease in water consumption during the winter months. It is imperative that athletes drink half their body weight in fluid ounces to avoid dehydration. 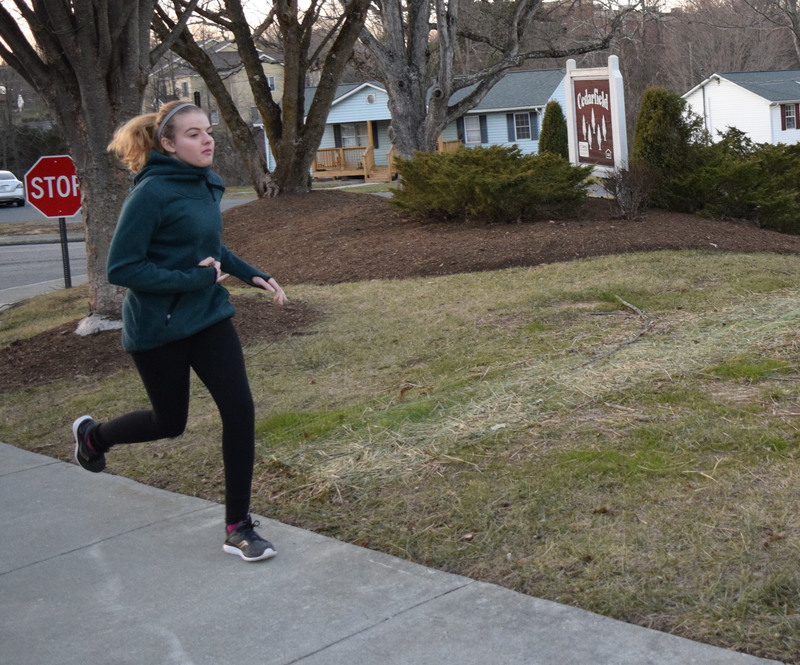 Running outside during the winter months may seem very unappealing, but it has proven to significantly improve both physical and mental health. This is especially important during the winter months, a time when season depression is at its peak. Properly dressed, athletes can comfortably run all year round.